How would I define a region with multiple holes? I would like to define a region consisting of a polygon with eight holes in it. This is essentially a stamped piece of metal with eight holes. The aRegion is a series of eight holes. 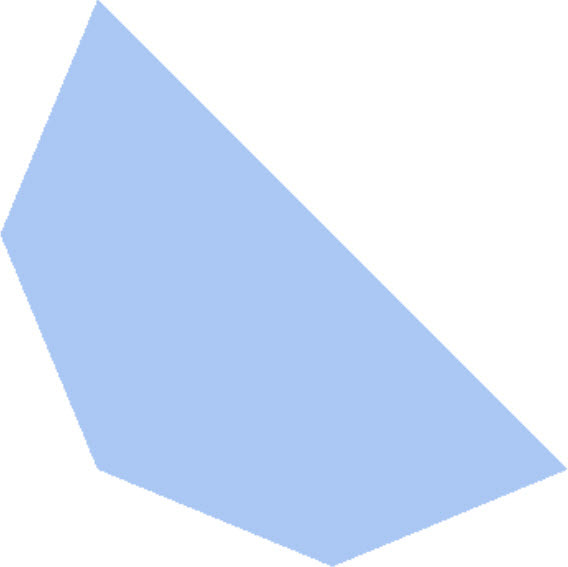 The bRegion is a simple polygon. I am trying to create a polygon with eight holes. The result of the RegionDifference is shown below. Note that if I swap the parameters in the call to RegionDifference, I get the bRegion polygon without holes. What would be the correct way to define a region that is essentially the bRegion polygon minus the aRegion holes? You mixed up the ordering of bRegion and aRegion. Moreover, Region is only suitable for a quick preview; it usually does not discretize very accurately. Try DiscretizeRegion with variable MaxCellMeasure instead. You may also try to specify a suitable MeshRefinementFunction in order to localize the refinement of the mesh around the holes. As Henrik has pointed out, the holes are there when the parameterization of RegionDifference is correct. Sometimes having Infix notation in mind will help to avoid mistakes. Another advice is to start using contructor functions with parameters defined only once (e.g. using scoping constructs like With) right from the start. So mind the advice: Don't repeat yourself (DRY). This helps to easily "play around" with what you have done. Using a larger radius, for example, would have quickly shown that the holes are there even in the coarse output produced by Region but are simply to small (e.g. setting radius to 0.3 would have sufficed). Not the answer you're looking for? Browse other questions tagged regions mesh or ask your own question. How do I define a periodic region? How to define element size with ToBoundaryMesh?